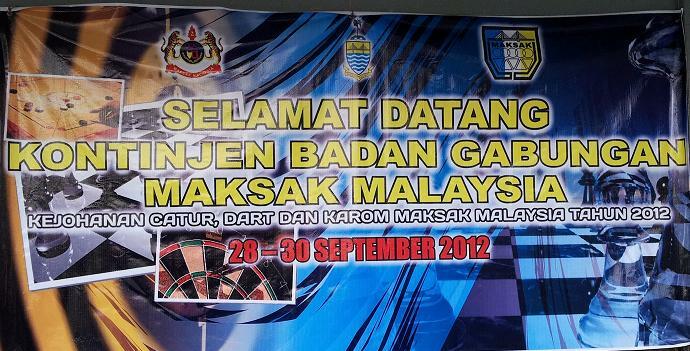 hairulovchessmaniac: Kuala Lumpur win MAKSAK 2012 ! 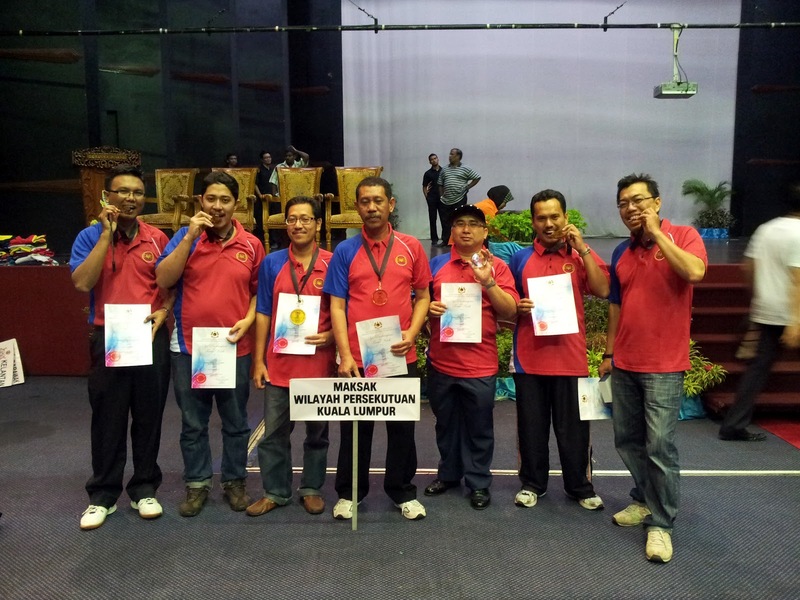 Kuala Lumpur win MAKSAK 2012 ! 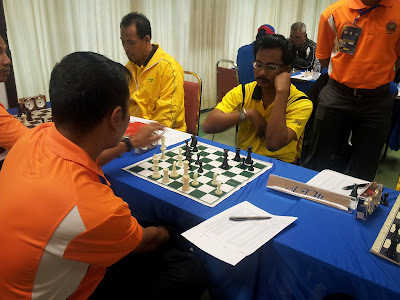 30th September 2012 - Wilayah Persekutuan Kuala Lumpur win the 2012 chess team event at the Kejohanan Catur, Dart dan Karom, Majlis Sukan dan Kebajikan Anggota-Anggota Kerajaan (MAKSAK) held from 27th - 30th September 2012 at Bilik Tanjung, Dewan Sri Pinang, Lebuh Light, Pulau Pinang . This year event is host by Pulau Pinang. Kuala Lumpur repeat their last two years victory and by doing so they create history by winning it three time in a row ( 2010, 2011 and 2012). Second to fourth place is won by Terengganu (2nd) , Johor (3rd) and Sarawak (4th). 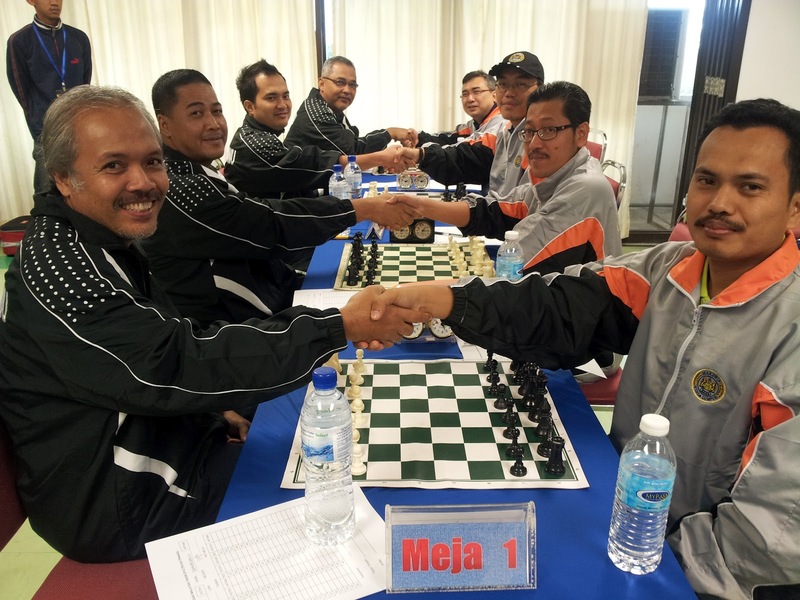 15 teams took part in this annual Malaysian civil service chess team event. Melaka, Negeri Sembilan and Labuan did not participate this year but Kedah and Sabah made a comeback after so many years. Many strong and well known players took parts in this event such as NM Kamal Ariffin, Nor Azmi Mohd Noor, Hashim Jusoh, Rizal Ahmad Kamal, Zarul Syafiq, Amri Ibni Hajar, Taulani Tukiran, Abang Reduan, Morsin Ahmad, Abdul Rahim Ramli, Mohd Zambri Syarif and many others. 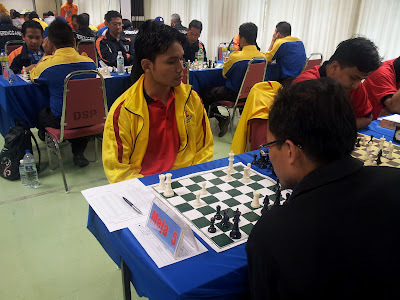 This year edition miss two senior players - Lim Kian Hwa (Sarawak) and former World Police Chess Champion - Ismail Ahmad. Both have retired from civil service. Lim Kian Hwa reach his compulsory retirement age last year while Ismail Ahmad recently choose optional retirement to concentrate on his chess career. All the best to both chess lovers! The tournament format is every team consist of maximum 6 players ( 4 + 2 reserve) and the time control is 45 minutes per player . This team events is held in four days. The first day is the preliminary stage where teams were divide into three groups ( A,B,C). Top two team of each groups plus two teams which is the best 3rd placing among the groups proceed to the winner's pools while the rest play in the Loser's pool. Below are the teams who proceed to winners and losers pool.